Scooper - Technology News: Can we reinvent online advertising? Can we reinvent online advertising? The most successful businesses of our era are digital platforms promising exceptional user experiences. The gang of four – meaning Apple, Amazon, Facebook and Google – are a case in point. Look up the term "media content" on the internet and you'll find the word "experience" enshrined in the definition . But user experiences generate emotions that can be both positive and negative. That’s why in today’s experience-driven economy, there is a real risk of getting it wrong, of industries and regulators alienating people and destroying value. Is this happening to online advertising? The future of the advertising sector seems to hinge on its ability to understand more precisely what people are thinking at any given moment in order to help their clients sell more. But has online advertising completely ignored how consumers are “likely to FEEL” about this? The rise of ad-blocking, or the removal of ads from a webpage, is a symptom of how consumers feel about online advertising. It’s a measure of our emotional response to poor online experiences and fears over privacy. As such, it is important that the media and advertising industries start listening carefully. 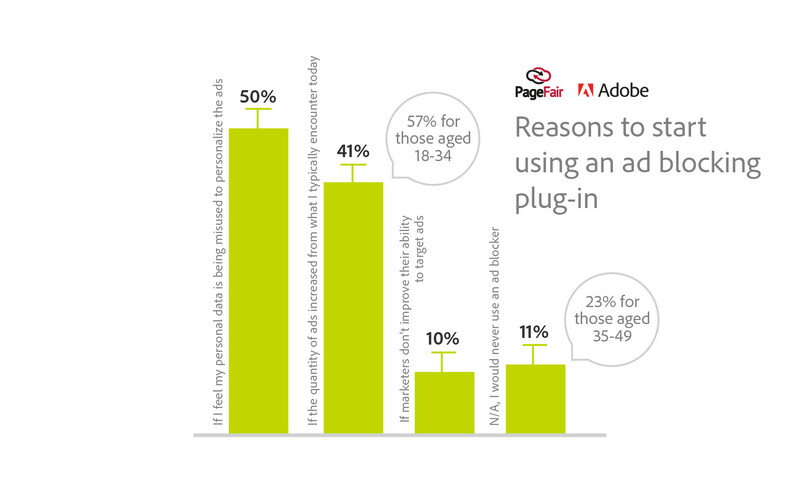 Numerous surveys have found that a top reason why people use ad-blockers is to protect themselves from the aggressive pursuit of end-user behavioural information. An interesting discussion took place in the London offices of the web giant Mozilla this month. It was organized by PageFair, a start-up based in Dublin whose stated mission is to protect the future of the free internet by re-establishing a fair deal between web users and content creators. Given the chance to reinvent itself, what form of online advertising would respect users while also enabling publishers to support themselves? 1. 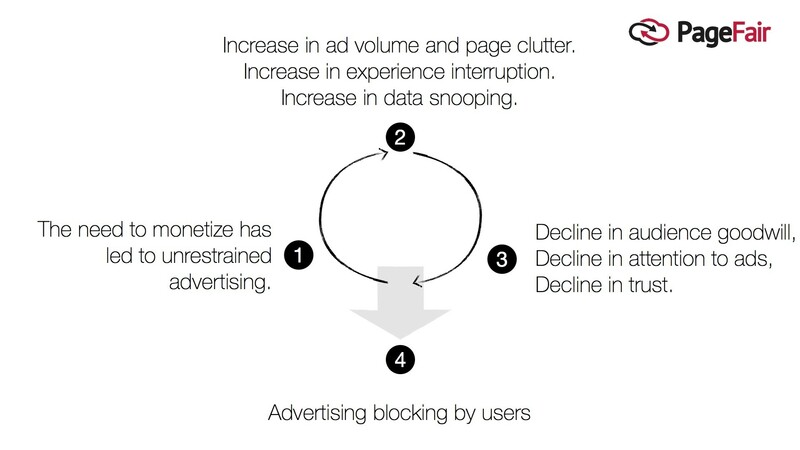 Online advertising is stuck in a vicious circle: actions by the industry cause negative emotions among users, which alienates them and hampers marketing effectiveness. Industry must be “obsessed with delighting audiences”, says the World Economic Forum . “Every strategic move should have the end-customer experience at the core.” And this is precisely what the advertising sector should be doing. This community of purpose, who met in London, will hopefully transform itself into a community of action. Taken together, the above measures could restore privacy to consumers, empower publishers and provide a channel of sustainable market reach to brands. French regulators are now targeting users of ad-blocking software , a move that undermines the potential for the industry to self-regulate and reinvent itself. This is not the first time that regulators have tried to solve a problem that should be solved by industry. The fight against content piracy has cost France hundreds of millions of euros, to little avail . With the popularity of ad-blocking comes an opportunity for the advertising sector to reinvent itself and become “obsessed with delighting audiences” again. This means that hiding behind regulators will not solve the problem. Artificial intelligence and machine learning adds another dimension. AI will be the next big technology to shape advertising, potentially able to predict how consumers think and what we want before we know it ourselves, and establishing an emotional connection between humans and intelligent machines. Imagine a digital advertising campaign that guarantees a 99.9% positive response rate based on predictive algorithms and an emotional bond. This is the longer-term promise of artificial intelligence, and frankly, as a consumer, it can seem frightening. Given our growing resentment towards deep behavioural tracking, how will we respond to this new consumer landscape? How will it shape our future relationship with brands? And, more importantly, will the industry learn from its current mistakes? This article is part of a series of posts from the Shaping the Future Implications of Digital Media for Society project, currently in its second phase. Explore content and findings from the project’s first phase in the report Digital Media and Society: Implications in a Hyperconnected Era .